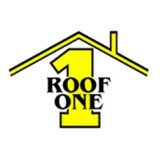 Roof One is Michigans premier roofing and siding contractor. With certifications from Owens Corning and GAF. Roof One hasn’t been active on Medium yet. Check back later to see their stories, claps, and highlights.